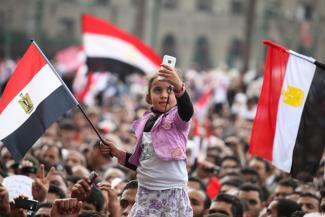 Social movements and activist groups in the Arab world are rarely acknowledged or heard about in the west. Even worse, recently the Bush administration has tried to take credit for the work of these grassroots groups, who struggle and protest under the most repressive conditions. One dynamic group in Egypt called Kifaya (meaning “Enough” in Arabic) has not only brought the politics of protest to the streets of Cairo but has dramatically changed “politics as usual” in Egypt under the US-backed regime of Hosni Mubarak. 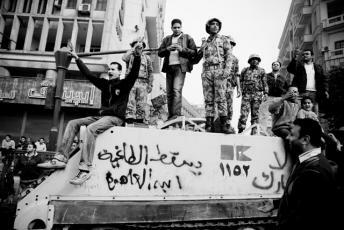 On December 12, 2004, a small group of people gathered outside an imposing court at the heart of Downtown Cairo.